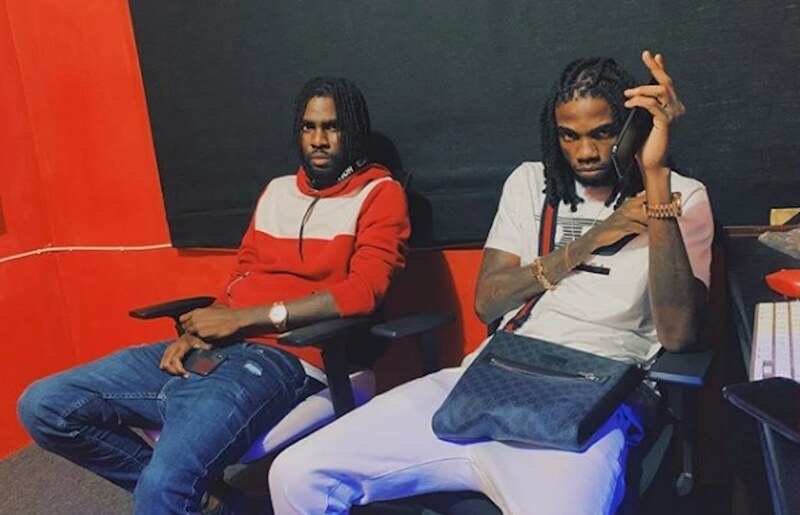 Alkaline and Jahvy Ambassador hit the studio together just moments after he dissed Popcaan on Instagram. If you’ve been in the dark for the past couple of days, then we should update you on the recent happenings between Alkaline and Popcaan. The Vendetta deejay took some shots at the Unruly Boss last weekend on the Gram by showcasing his “Microwave” artwork. The Unruly camp claps back saying that Alka is looking for a way to step back into the spotlight. Perhaps there is some truth to their argument since Alkaline hit up the studio with his close friend, Jahvy Ambassador, within hours after posting the video clip. Sources are saying that the two are working on a possible Popcaan diss track because Alka thinks Poppy has been dropping subliminal shots in some of his recent songs. Last weekend, Popcaan released a gritty new single “Sicario” produced by NotNice. Maybe Alkaline is feeling threatened by Poppy and NotNice linking up again to make music. NotNice produced a couple of songs for the Vendetta deejay in his early days on the dancehall scene, but then they had a falling out.